Cable television bundled packages are quite expensive, and a recent report from Nielsen claims that the average consumer watches only about 9% of the pay-TV channels that they actually pay. Cord cutting is a growing a new craze and the advances in technology is finally at a point where it is becoming more viable to do so. By purchasing a simpe simple antenna, you get high definition broadcast channels for free. You can even record them with an over-the-air DVR. Simply layer on a streaming service to stream your favorite cable shows and movies and you are ready to cut the cord for a fraction of the price. Speedier Internet connections, have enabled an abundance of dedicated streaming video devices and an explosion of streaming services. Streaming providers are investing millions in original content, giving traditional pay TV providers a run for their money. Cable Providers are not blind to the threat and have begun rolling competing streaming services. Big name content providers, such as HBO and Showtime, have also introduced their own streaming service at a price lower than cable providers. Netflix ($8.99 per month) - the strongest of the streaming providers with a global network serving multiple countries. Its vast reach enables it to provide a vast array of international content. Netflix serves up many popular and award winning original content, such as Orange is the new Black, and House of Cards. Amazon Prime Instant Video ($99 per year) - comes with Amazon Prime's free shipping, Amazon Photos and Music. In December, Amazon launched the Streaming Partners Program, which lets you add networks like Showtime and Starz to your Prime account. It's the only place to stream Starz without a pay TV account, and provides a $2-per-month discount on Showtime. A unique feature of Amazon is its offline download of movies for offline viewing (great for long flights). Hulu ($7.99 per month) - for full seasons of current and classic TV series, as well as original content. Limited number of free titles. Hulu gets content almost immediately after airing on TV thanks to its link with big studios. SlingTV ($20.00 per month) - is the most expensive of the bunch, but the closest to the traditional TV experience. Sling TV offers live access to channels like AMC, TBS, The Food Network, CNN, TNT, ESPN, ESPN2 and more. A Sports Extra package that includes nine additional sports channels, is also available for an additional $5 per month. Some content supports three-day replay. AcornTV ($4.99 per month) - full episodes of a broad catalog of British TV shows, including exclusive content such as Jamaica Inn starring Jessica Brown Findlay, Downton Abbey‘s Lady Sybil. It’s a British television addict's nirvana. HBONow ($14.99 per month) - the trail blazer. The first major premium channel to go out on its own. The cost of the stand-alone service is less than the cost of the same content from cable provider. Showtime ($10.99 per month) - following in the footsteps of HBO, Showtime has launched their own streaming service. One benefit of these stand-alone services from major content providers such as Showtime and HBO, is the freedom it gives for seasonal subscriptions. With a monthly suncscription charge, one can subscribe just long enough to binge watch the latest season, cancel then re-subscribe without penalty. CBS All Access ($5.99 per month) - Over 7,500 episodes on demand, with new episodes available the next day. Live TV viewing is supported is available in about 60 percent of the U.S. Nothing beats the convenience of streaming to a smartphone, tablet and PC, but nothing beats experience of watching those same shows on the big screen. A streaming player let's you to watch the content of streaming services like the ones mentioned above, on your TV. Roku Stick ($49) - Very popular amongst cord cutters, the Roku streaming stick is an affordable solution with the most applications compared to other streaming sticks. It also has the best search feature and a powerful interface that allows full customization. Like other sticks, it is very small and plugs directly into the TV HDMI port, making a discrete connection, which is ideal for wall-mounted Televisions. 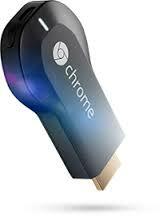 Google Chromecast ($38) Very affordable budget friendly device that allows you to beam just about any content on your phone, tablet or PC to your TV. Unlike the Amazon Fire TV Stick, the applications are not natively stored on the device. The device serves as a receiver for applications that run on your phone, tablet or PC. The setup is straightforward; just plug it into a free HDMI port on your TV, go through the easy guided setup, and you're done. 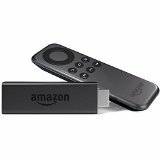 Amazon Fire TV Stick ($40) - The Fire TV stick is self-contained. It stores applications on the device, has a user interface and a remote control, making it much more intuitive to use compared to the Chromecast, for the less tech-savvy customer. The selection of applications is broad. It is the cheapest way to get Sling TV, for example, and its unique ability to easily connect to hotel Wi-Fi networks makes it a useful device for travelling. Roku 2, Roku 3, Roku 4 - ($60-$120) - The Roku 2 a great interface with a very-fast response time that surpasses the Roku stick. It comes equipped with an Ethernet port, for a direct connection to the LAN, the stick relies on a WiFi connection. The only difference between the Roku 2 and 3, other than the price, is a more powerful remote control, equipped with voice search, a headphone jack for wireless private listening, and the ability to operate the box without needing line of sight.. The Roku 4 additionally has an Optical digital audio port and Remote finder. 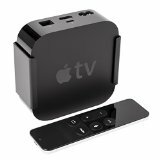 AppleTV ($149-$199) - The latest version of the AppleTV, includes a full version of the app store, integration with Apple's Siri voice-recognition system for search and device operation, and a new remote control with an advanced touchpad. It comes in two configurations; $149 for the 32GB model, and $199 for the 64GB model. Both options are equipped with a 10/100BASE-T Ethernet, Bluetooth 4 wireless technology and USB for service and support. Gaming Consoles - such as the Playstation and the X-Box, are boxes that a jack of all trades. They are gaming consoles that can stream games and other online content including movies. So if you have one, no need to buy a streaming device. North America has the highest quality over-the-air TV market in the entire world, with beautiful, pristine digital broadcast. The problem is that consumers just don't know about it. By purchasing a simpe simple antenna, you get all of these broadcast channels for free, and even record them with an over-the-air DVR. Additional information about HDTV antennas can be found by following this link. One draw back with cutting the cord and relying exclusively on a digital antenna, inability to record programming for later playback. An OTA digital video recorder solves this. See article on OTA DVRs for more information.